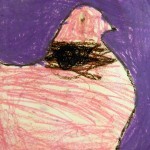 First graders made these colorful portraits using a tool many artists utilize – a viewfinder. 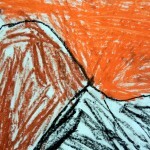 This allowed them to hone in on their composition. 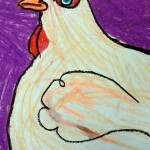 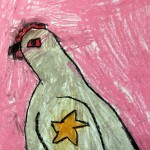 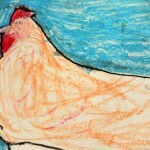 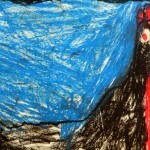 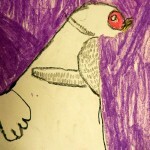 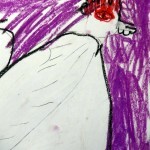 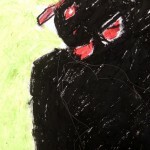 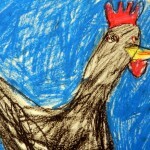 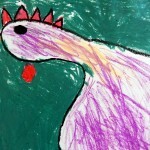 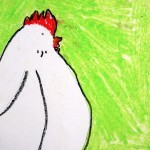 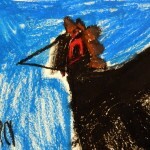 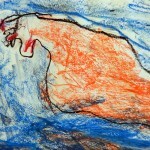 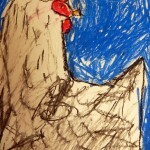 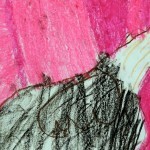 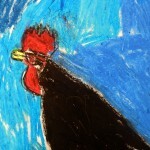 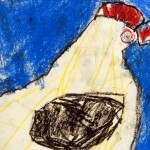 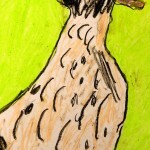 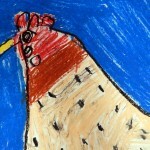 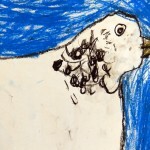 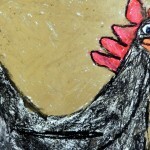 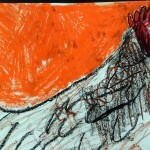 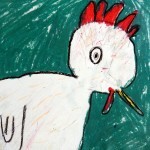 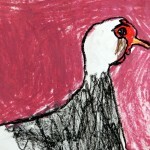 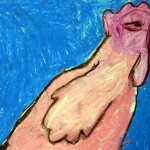 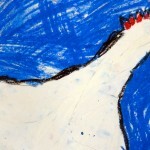 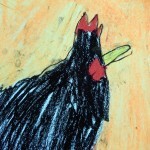 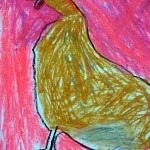 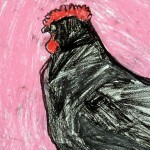 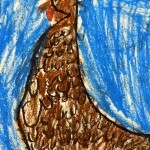 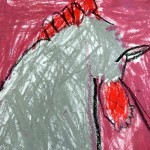 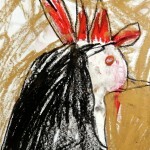 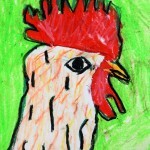 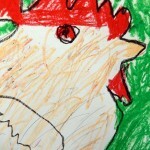 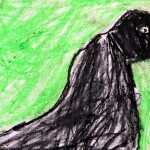 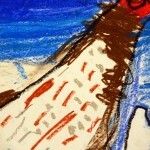 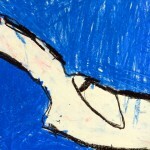 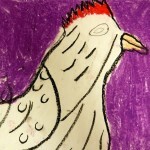 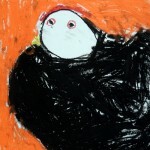 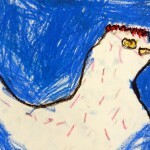 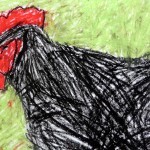 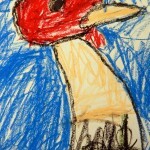 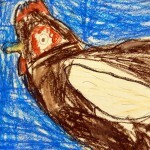 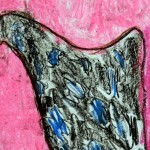 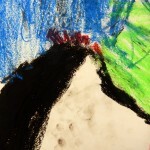 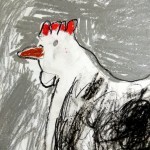 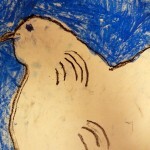 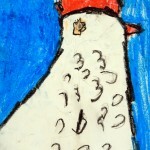 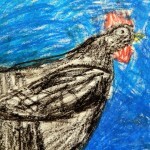 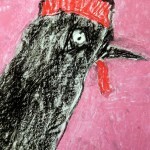 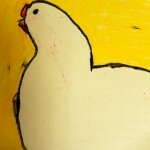 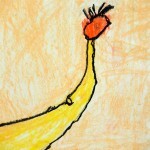 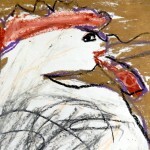 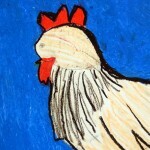 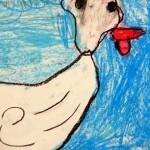 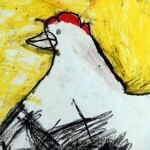 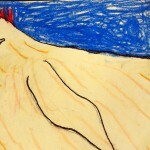 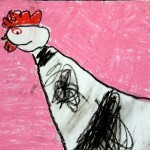 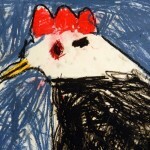 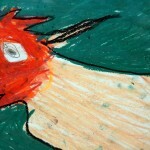 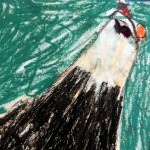 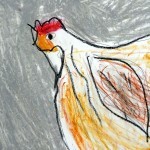 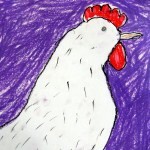 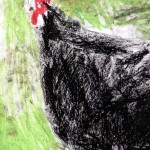 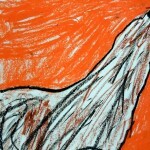 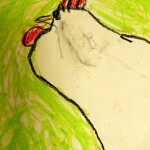 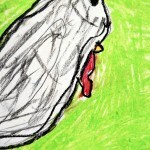 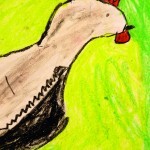 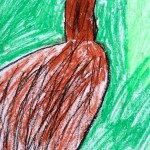 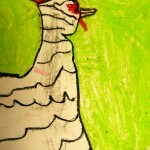 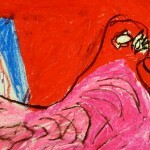 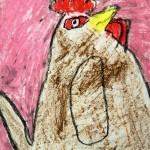 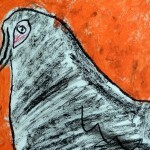 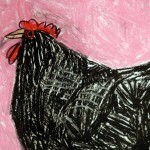 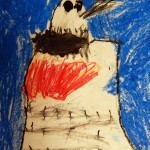 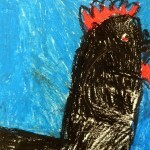 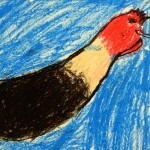 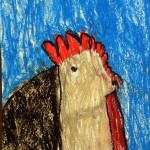 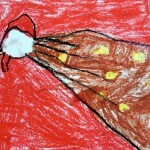 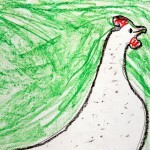 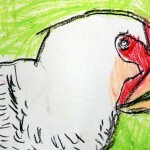 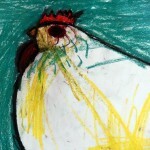 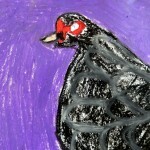 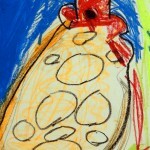 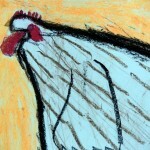 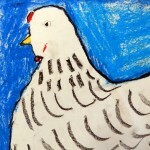 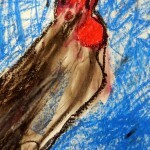 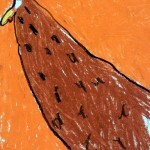 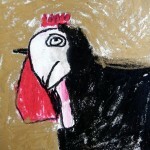 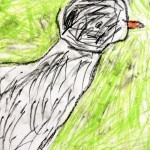 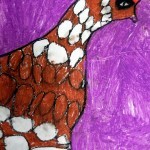 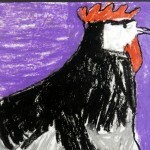 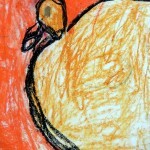 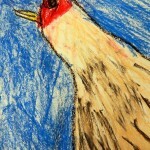 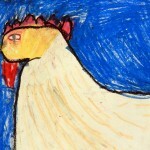 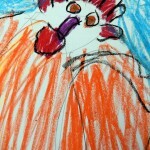 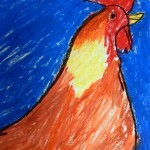 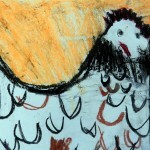 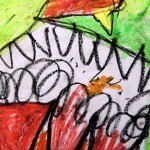 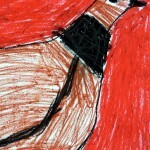 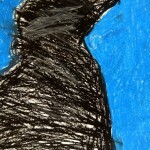 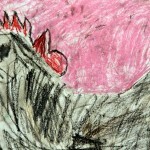 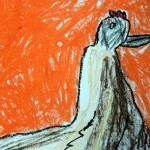 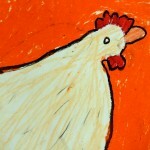 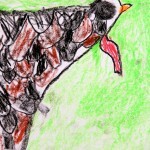 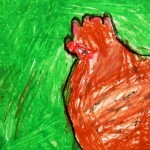 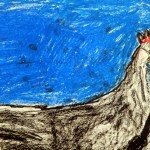 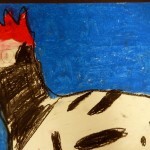 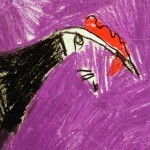 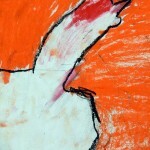 After drawing and coloring their chickens with oil pastel, they chose a contrasting color for the background.